Our Mighty Mights Program is for our youngest students, ages 3 1/2-6. Please see our class schedule for more details on days/times that Mighty Mights classes are offered. Being in a group class helps our youngest students learn to follow instructions, abide by school rules and respect the space of others. Bok Fu Do training is an excellent way to improve physical fitness, space perception, coordination, balance, strength, and flexibility. Development of both gross and fine motor skills is especially critical in child development. Children with poorly developed motor skills often struggle with academic performance. Involving children in sports, such as martial arts, can be helpful in developing these skills. At K.O. we specialize in teaching children and creating an environment where they can gain self confidence while improving their motor skills, attention span, and coordination. Our Kids Program is for students 7-12 years old. Please see our class schedule for more details on days/times that Kids classes are offered. Kids Program students can also attend any Beginner, Beginner/Intermediate or Open classes. We also offer an optional Kids Sparring class in addition to their standard curriculum. Being in a group class helps our children learn to follow instructions, abide by school rules and respect the space of others. Bok Fu Do training is an excellent way to improve physical fitness, space perception, coordination, balance, strength, and flexibility. Development of both gross and fine motor skills is especially critical in child development. Children with poorly developed motor skills often struggle with academic performance. Involving children in sports, such as martial arts, can be helpful in developing these skills. At K.O. we specialize in teaching children and creating an environment where they can gain self confidence while improving their motor skills, attention span, and coordination. Our Teen/Adult Program is for students 13 years and older. Please see our class schedule for more details on days/times that Teen/Adult classes are offered. New Teen/Adult Program students can also attend any Beginner, Beginner/Intermediate or Open classes. Optional Sport Kickboxing classes are also included in every membership. For hard working people looking for life balance, K.O. provides an excellent outlet for stress and a great way to improve mental and physical health for the whole family. The style of Kung Fu taught at K.O. has a strong focus on practical self-defense. Students are taught to avoid conflict wherever and whenever possible (i.e., safety awareness etc). However, the possibility of violent crime is an unfortunate reality in our world. At K.O. we strive to give students the skills and tools they need to react effectively if ever faced with a life threatening (or life saving) situation. These skills and tools include not only the weapons of open handed self defense, but the training and experience to react in an appropriate way to an attack situation. 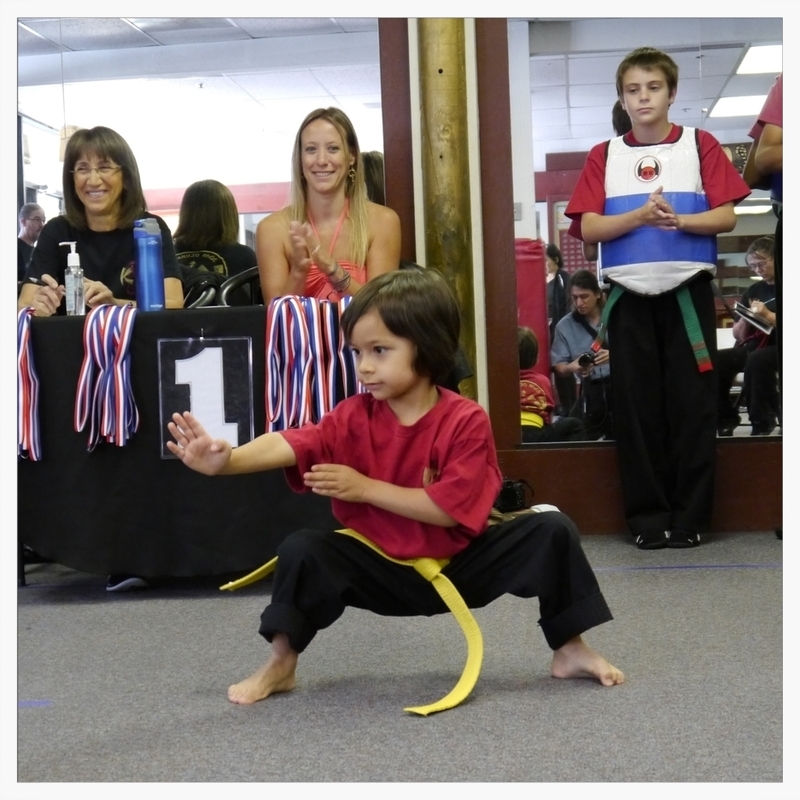 Bok Fu Do is great for the whole family!